At Aspirinox Alloys Inc, we are specialized and experienced Manufacturer, Exporter, and Stockholder of Alloy 926 Sheets & Plates in Mumbai, India and across worldwide. Alloy 926 Sheets is also referred as UNS N08926 that has the combination of molybdenum and nitrogen in its composition resists pitting and crevice corrosion, while copper improves sulfuric acid resistance, and nitrogen improves yield and tensile strengths. We offer a wide range of Alloy 926 Plates as per the requirements of our esteemed clients. Alloy 926 is a super-austenitic molybdenum stainless steel that exhibits excellent resistance to a variety of highly corrosive environments. They are used in various heavy duty applications including chemical storage and processing, aerospace, and food processing. Moreover, we offer Alloy 926 Carpenter Sheets & Plates has resistance to chloride stress corrosion cracking, Thus it made Carpenter 926 Structural a widespread choice for an extensive range of uses such as manufacturing and processing of synthetic and plastics fibers. 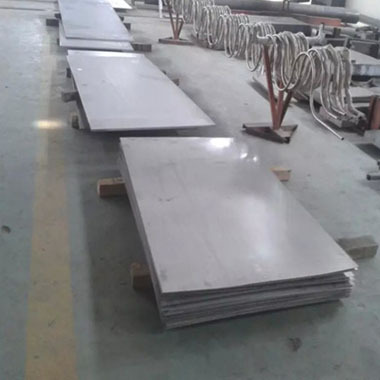 We can provide these Alloy 926 / UNS N08926 Sheets, Plates in customized length, sizes and wall thicknesses as per the esteemed client’s specification. Kindly do Call us or Email us your specific requirement for our alloy 926 sheet and plate product! Specifications for Alloy 926 Sheets & Plates. If any specification is not mentioned here, please use the contact button for quick quote. Request the latest Alloy 926 Sheets & Plates Price List. Please click on the request a quote button or click here to request the updated price list and ready stock information along with your requirement. Aspirinox Alloys INC maintains stock of all standard items and can export them at best price for Alloy 926 Sheets & Plates.